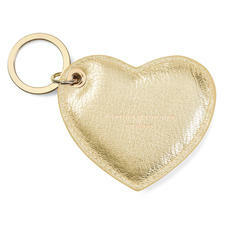 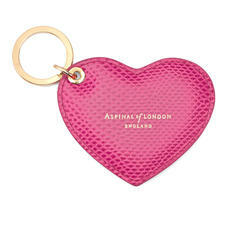 Add a playful twist to your accessories collection with our Leather Heart Key Ring. A perfect addition to your own repertoire or a sweet token for a friend or loved one, each heart is crafted within our own workshops from superior Italian calf leather and finished with our signature, branded ring. From the subtle shimmer of metallic peacock to the cheery overtones of grass green and the luxe romantic statement of berry red, there's a myriad of colours to choose from to complement your style. 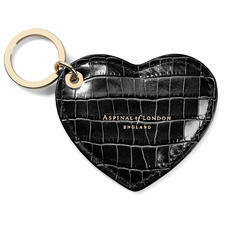 Gorgeous and easy to find our Aspinal Leather Heart Key Ring is individually handmade in our workshops by our master craftsmen from the finest lizard print Italian calf leather in myriad of cheerful colours.